The players go by nicknames like Koko, Beans and Flash. They try to color-coordinate their socks. And they have gone about the hard business of winning basketball games — as the only team of girls in the league — with the cool, calculated approach of tax auditors. "We'd walk in, and all the boys would be like, 'We're playing girls?' " said Anne Rupnik, a point guard. "Then we'd beat them. Some of them cried." "Everybody thought they were going to kick our butts!" said Anna Chambers, an 11-year-old, 4-foot-8 point guard who goes by the nickname Banana. But kick their butts the boys didn't, because "they make such sloppy passes," according to another XPress player. Yeah! The girls' coach, Tariq Toran—who got his team matching bright green mouthguards for Christmas, like a hero—left his job as an assistant coach for a semipro men's team in search of less "whining and complaining." 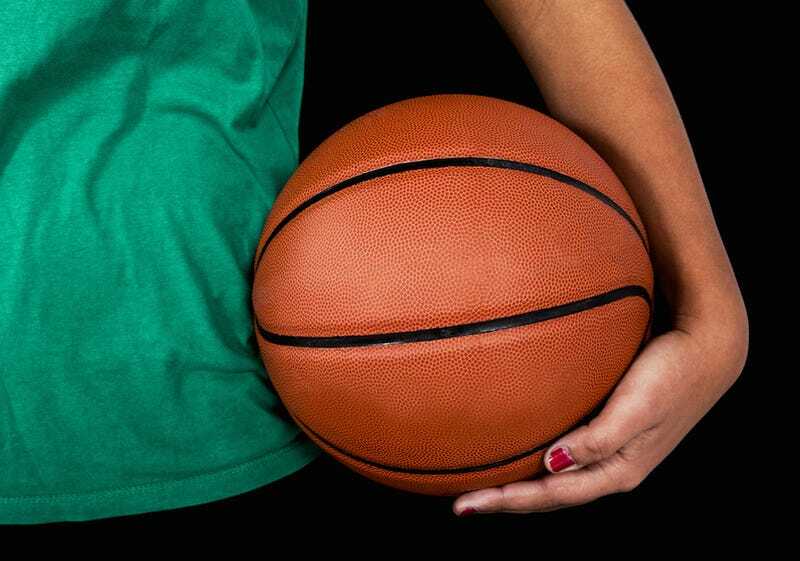 Of pre-teen girls, he says: "You can actually teach them basketball." "We're in the rectangle of what?" he asked, his voice rising. "War!" his players shouted in high-pitched unison. "That's right!" he said. "We're in the rectangle of war, and we're in it to win it!" I am slightly verklempt. Check out the full article here.